Taking a small break from the daily routine & spending time with the loved ones is memorable, especially for those who stay long from the family. Though its few weeks I spend with my parents it fills my heart with joy and happiness. 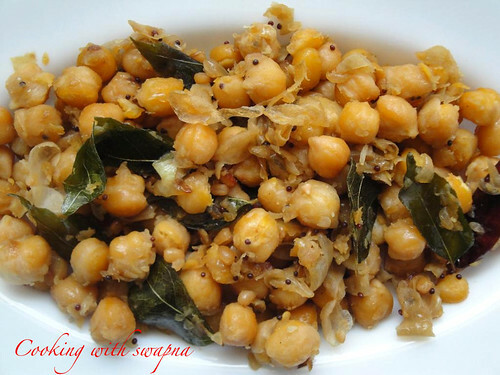 Chick peas sundal is prepared during festival seasons. I make this very often for my son. Addition of chilly powder is optional. Best snack during evening time. 1. Soak the channa dal in the water overnight & pressure cook them (add salt). Set aside. 2. Heat oil in the kadai, add mustard seeds, urad dal, red chillies & curry leaves. 3. Add finely chopped onions & chilly powder (optional). Saute it for 5 mins. 4. 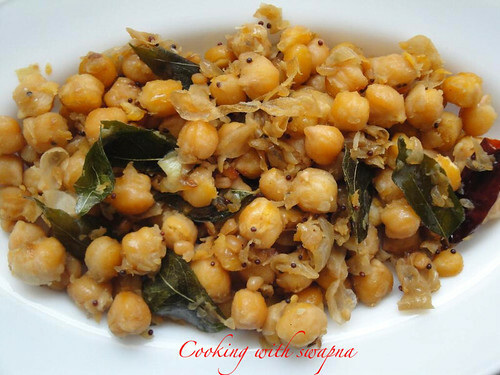 Add the cooked channa dal. Saute it for 3 mins. 5. Finally add the grated coconut & salt to taste. Switch off the flame.